The MiARD project has made a great deal of progress in refining the so-called ‘shape’ model of the comet, which is exactly what it sounds like – a mathematical representation of the shape of the comet, derived from photographs taken by the ROSETTA orbiter, together with navigational information. The example below shows the remarkable resolution now achieved. German Aerospace Center (DLR, Berlin, Germany). 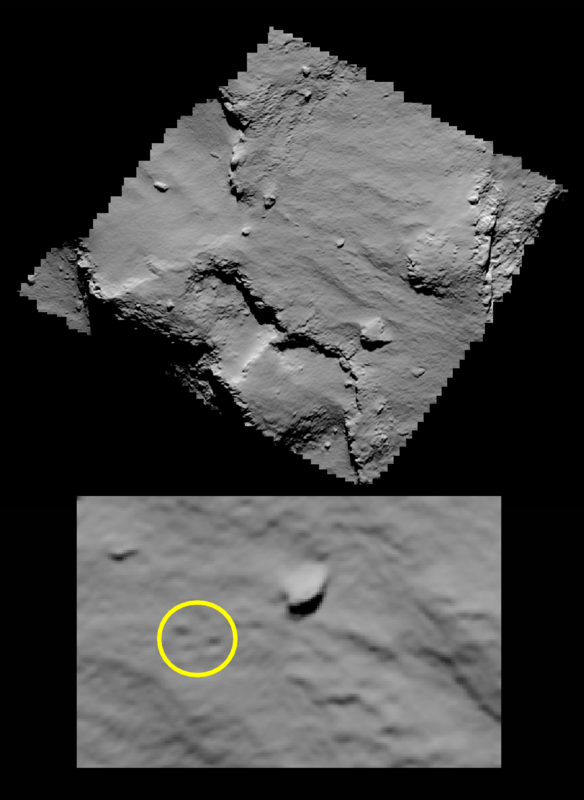 Philae at the surface of the comet.